India has in recent years strengthened its ties with the U.S. in bilateral trade and defense deals, but the relationship faces headwinds on several fronts. Among the sensitive areas are potential economic sanctions following India’s defense dealings with Russia, India’s worries over some of President Trump’s policies, and U.S. immigration restrictions on work visas. A recent, significant challenge is that India risks U.S. sanctions over its recently concluded $5 billion deal to buy air defense missile systems from Russia. The U.S. imposed sanctions on Russia for meddling in America’s 2016 presidential elections; those sanctions could extend to any country doing large defense deals with Russia. If the U.S. were to impose sanctions on India, this could jeopardize banking relationships between the two countries, including money transfers, noted Marshall M. Bouton, acting director and visiting scholar at the University of Pennsylvania’s Center for the Advanced Study of India (CASI). According to Bouton, India has informed the U.S. that the deal to buy the Russian S-400 long-range surface-to-air missile system will not impinge on its ties with the U.S. He made those remarks in his keynote address at the Wharton India Economic Forum last week in Philadelphia. The United States will find it necessary to grant a limited number of waivers to sanctions it will impose on Iranian oil customers, but in exchange, it will demand that the countries substantially cut those imports. The United States will continue to pursue its goal of reducing Iran's oil exports to zero, and it will demand further reductions when the six-month waivers expire in order to renew them. Even the Iranian customers who gain waivers will find it difficult to set up mechanisms to pay for the oil or to arrange shipping and insurance to transport it. India, South Korea, Japan and Turkey are the countries most likely to receive waivers, while others, including China, will continue to try to secure them. While every news-outlet in Pakistan fell into the trap of Avi Scharf’s propaganda against Pakistan, Israeli PM Natenyahu paid a secret visit to Oman which has serious repercussions not only for Pakistan but also for the whole South Asia. On a secret trip to Oman, Israeli Prime Minister Benjamin Netanyahu was accompanied by his wife, Mossad intelligence Chief Yossi Cohen, National Security Adviser Meir Ben-Shabbat and with other defense officials. The Israeli delegation reportedly flew to Oman on Thursday, 25th October 2018 when Pakistan’s media attention was successfully diverted about the Israeli plane landing in Islamabad. A lot of countries trusted Oman but the question is will they see Oman as an honest broker? Through Oman, Israel can build secret ties with any player in the region. Afghan officials have begun counting ballots from the country’s parliamentary elections, even as a suicide bomber targeted the election headquarters in Kabul early Monday morning. Voters in the Kandahar province of Afghanistan went to the polls this past Saturday, October 27, delayed by a week due to an insider attack that killed regional police chief Gen. Abdul Raziq and intelligence chief Gen. Abdul Momin, while wounding Gen. Jeffrey Smiley, the head of NATO forces in southern Afghanistan. The rest of the country voted last weekend, and election day violence killed at least fifty people. Despite these attacks on the heel of a very violent election season—in which ten candidates were killed—the Pentagon continues to insist that U.S. efforts in Afghanistan are working: “The ANDSF [Afghan defense forces] security is working,” Col. Rob Manning said last Monday, October 22. “By all accounts, our assessment is the South Asia strategy is working.” This is wrong, and no one should buy it. The strategy is not working and it’s long past time we end this war. Imran Khan ’s much anticipated China visit took place from 2 to 5 November 2018 in the backdrop of Pakistan's desperate requirement of a financial bailout due to mounting balance of payment crisis, the rising concerns about the unsustainability of the costly projects under the China-Pakistan Economic Corridor (CPEC), and spectacular climb-down by the Pakistan Government before the fundamentalist protest against the judgement of the Supreme Court freeing Aasia Bibi charged in a blasphemy case. The usual protocol was granted to the Prime Minister and 15 routine Memoranda of Understanding (MOU) were signed. A verbose joint statement was issued.1 However, there was not a headline-grabbing outcome to the visit. The trade war between Washington and Beijing has been analyzed largely through the lens of state-to-state relations. 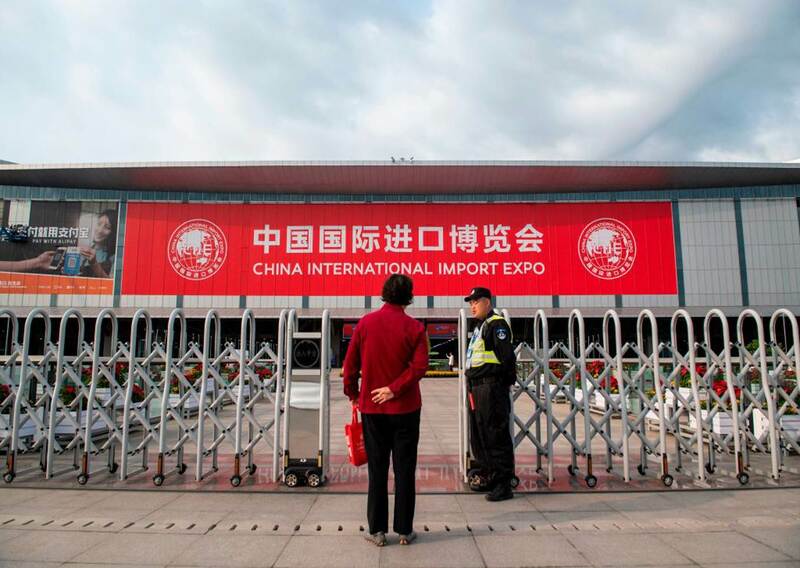 But any attempt to fully assess how the dispute will affect China’s domestic development and foreign engagement must take into account the country’s dynamic middle class, which has suffered the brunt of the ill effects from the trade war. The Chinese middle class’ political clout and fickle views are among the most intriguing—and consequential—factors affecting U.S.-Chinese relations. Without a solid grasp of the complicated relationship between the Chinese leadership and the country’s middle class, American policymakers and analysts may have difficulty accurately gauging the efficacy of U.S. trade policy toward China. Over the past few months, members of China’s middle class have been noticeably critical—especially in online public discourse—of the Chinese government’s economic and sociopolitical policies, including the way the leadership has handled relations with the United States. 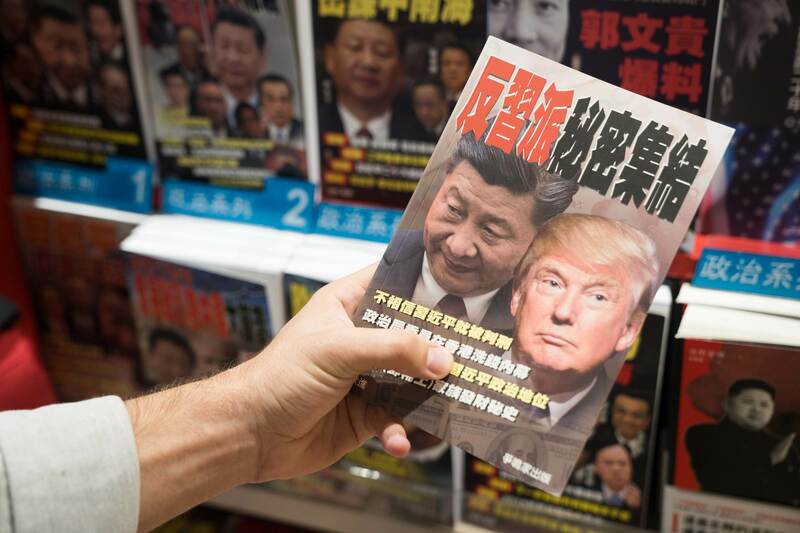 Some suggest that this middle-class discontent threatens President Xi Jinping’s broader position and economic vision and indicates that the United States holds the advantage in the trade dispute with China. But the middle class’ views—which are the foundation of Chinese public opinion more generally—might be poised to turn in the Communist Party’s favor. Although the group has faulted Xi’s leadership, a severe escalation in the trade war could result in a sudden shift of blame to Washington. Religious observance in China is on the rise. Amid China’s economic boom and rapid modernization, experts point to the emergence of a spiritual vacuum as a trigger for the growing number of religious believers, particularly adherents of Christianity and traditional Chinese religious groups. While China’s constitution allows religious belief, adherents across all religious organizations, from state-sanctioned to underground and banned groups, face intensifying persecution and repression. Article 36 of the Chinese constitution says that citizens “enjoy freedom of religious belief.” It bans discrimination based on religion and forbids state organs, public organizations, or individuals from compelling citizens to believe in—or not believe in—any particular faith. The State Council, the government’s administrative authority, passed new regulations on religious affairs, which took effect in February 2018, to allow state-registered religious organizations to possess property, publish literature, train and approve clergy, and collect donations. Yet alongside these rights come heightened government controls. The revised rules include restrictions on religious schooling and the times and locations of religious celebrations, as well as monitoring of online religious activity and reporting donations that exceed 100,000 yuan (around $15,900). On May 8, after weeks of negotiations with European leaders, US President Donald Trump withdrew the US from the Joint Comprehensive Plan of Action (JCPOA), the nuclear deal signed between Iran and several other world powers, citing concerns that the JCPOA had failed to constrain Iran’s progress in nuclear weapons development. Not all world leaders shared Trump’s approach. Apart from Iran’s leaders, who, naturally, objected to the imposition of renewed sanctions on their country, European and Chinese leaders both expressed discontent, and have since worked with Iran to preserve elements of the existing deal (Anadolu Agency, May 16). While Britain, Germany and France might find themselves adversely affected by US withdrawal, China and, to a certain extent, Russia, might gain. The reactions of each of the world powers following Trump’s announcement reflect this understanding. In August 2018, the U.N. Committee on the Elimination of Racial Discrimination expressed its concern at reports the PRC had detained as many as a million members of Muslim ethnic minorities in extrajudicial re-education camps in the Xinjiang Uyghur Autonomous Region (XUAR). At the same meeting, the PRC flatly denied the existence of “re-education camps”, with United Front Work Department official Hu Lianhe arguing that “criminals involved only in minor offenses” are assigned to “vocational education and employment training centers to acquire employment skills and legal knowledge” (China Daily, August 14). Other officials, including Xinjiang governor Shohrat Zakir, subsequently echoed his denial (Xinhua, October 16). In China’s far West, Muslim Uighurs are under attack in a wave of official repression occurring on a scale not seen since the Cultural Revolution. For James Leibold, an expert in China’s ethnic policies, the question is not what China is doing, but how to stop it. Listen to all episodes from your favorite podcast app, and subscribe via Apple Podcasts, SoundCloud, or RSS Feed. The US and China have entered a new phase in their relationship, but talk of a new cold war is misleading. The US retains the upper hand strategically, and, on a growing number of issues, neither side can afford to go it alone. CAMBRIDGE – On a visit to Beijing in October, I was often asked whether US Vice President Mike Pence’s recent harsh criticism of China marked the declaration of a new cold war. I replied that the United States and China have entered a new phase in their relationship, but that the cold war metaphor is misleading. A perverse struggle is underway now within the “Blob.” Half of Washington (or slightly more) is convinced that Russia has undertaken a brazen attack against America’s democratic institutions and that liberalism everywhere, but particularly in its Euro-Atlantic core, is under sustained assault from the Kremlin and its army of “bots.” But the other half believes such claims are mostly malarkey intended to undermine the current president’s electoral legitimacy. They contend, by contrast, that Russia is merely one “chess piece” in the larger struggle against China. Recent references on the right to Beijing’s “interference in American domestic politics” illustrate how willing one side of this asinine debate takes up thedubious ammunition deployed by the other. For years, U.S. intelligence officials have warned about the hacking threat posed by Chinese operatives using sophisticated technology to steal American intellectual property. But a series of recent indictments targeting Chinese agents highlight something else: Alongside technology, Beijing is also using old-school methods of human intelligence to pilfer the items it needs. On Tuesday, U.S. prosecutors charged two officers of the Ministry of State Security—China’s main spy agency—and a team of hackers with attempting to steal advanced jet-engine technology being developed jointly by an American company and a French one. The news about U.S.-China relations has been decidedly negative lately, particularly since U.S. Vice President Mike Pence’s fiery speech criticizing the Chinese government on October 4. But now, amid the trade war and continuing tensions in the South China Sea, there are glimmers of hope for a thaw. Both China and the United States announced today that they will hold the second round of the Diplomatic and Security Dialogue (DSD) in Washington D.C. on November 9. The DSD is analogous to a “two-plus-two” meeting in that it brings together top foreign affairs and defense officials. 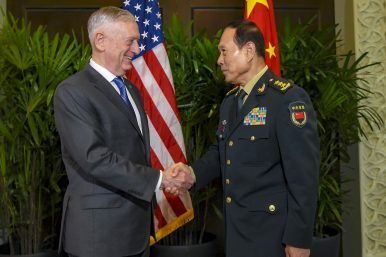 It will be chaired by Secretary of State Mike Pompeo and Secretary of Defense James Mattis on the U.S. side; Yang Jiechi, director of the Chinese Communist Party’s Office of Foreign Affairs, and Defense Minister Wei Fenghe will represent China. Trade and oceans have always been integral parts in the struggle for global supremacy. In 1829, English adventurer Sir Walter Raleigh wrote: “For whosoever commands the sea commands the trade; whosoever commands the trade of the world commands the riches of the world, and consequently the world itself.” It was the case for Great Britain with the Pax Britannica in the 19th century, the United States with the Pax Americana in 20th century, and will be the case for China if it wants to build up its own Pax Sinica in the 21st century. 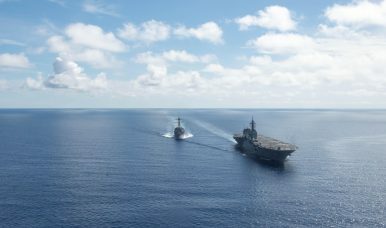 It was thus no coincidence that Beijing’s South China Sea island-building campaign began around the same time as China overtook the United States as the world’s largest trading nation. Meanwhile, unfair trade practices and military aggression in the South China Sea were the main accusations that U.S. Vice President Mike Pence made toward China in an unprecedented speech in early October. Thus, the intensifying trade war – initiated by U.S. President Donald Trump – is not a normal quarrel, but a shift from a “peaceful coexistence to a new form of confrontation” between the two global powers. Understanding the trade war in this light inevitably raises the question of how it will affect the South China Sea disputes. US oil and banking sanctions against Iran have gone into effect on 4th November. President Trump announced that these are toughest ever sanctions imposed by the US. The date is symbolic. It is the anniversary of the take over of US Embassy in Tehran by students in 1979. U.S. participation in the Iran nuclear deal has now ended. President Donald Trump’s administration has chosen to reapply sanctions to the Islamic Republic of Iran six months after announcing America’s exit from the 2015 agreement. This is part of a broader strategic shift by Washington in which strong pressure is to be applied until Tehran makes concessions in twelve areas . This is not the first time America has squeezed Iran. The years before the nuclear deal had seen a similar pressure campaign. We forget just how dangerous those times were. The risk of war was real. Today, the risk is greater. War could spring by accident from one of the many friction points between Iran on one side and America and its regional partners on the other. And the more the pressure strategy works and forces Iran to choose between collapse and surrender, the more Iran will look for alternative paths. One of those paths is escalation. We have entered a perilous new phase. “Bad guy,” “rocket man,” Trump said about Kim Jong-un less than a year ago. And just a few months later, the DPRK leader became so good that the US president met with him on equal terms. The insignificant talk of a possible denuclearization of the Korean Peninsula was served by Trump as the greatest breakthrough in easing military tensions. The American-Korean maneuvers near the shores of the DPRK, which were frankly provocative, somehow stopped. They talked about easing the sanctions pressure on Pyongyang. But all this is minor compared to the fact that South Korea went to rapprochement with North. There were several meetings of the two leaders. Mutual visits took place. And at the Olympics, two Koreas put together a single team. Economic relations are developing at a rather high rate. Begin to acquire a regular basis for the meeting of divided families and relatives who are on different sides of the 38th parallel. And the United States does not react to such a pace of convergence of the Koreas. Moreover, almost do not approve! But the matter can reach the point that Americans will be asked from the peninsula. The Organization for Security and Cooperation in Europe’s (OSCE) Special Monitoring Mission (SMM) to Ukraine reported at the end of October that one of its long-range unmanned aerial vehicles (UAV) had gone missing. According to an OSCE spot report (Osce.org, October 27), the drone disappeared while flying above a non-government-controlled area in Donetsk region. The UAV in question apparently experienced signal interference—which the OSCE SMM assessed to be jamming—while operating at an altitude of about 7,000 feet (2.1 kilometers). Coincidentally or not, the UAV went missing only two days after the deputy head of the OSCE’s SMM in Ukraine, Alexander Hug, gave a telling interview to the Washington-based Foreign Policy magazine. Specifically, he stated that while the OSCE had not detected direct evidence of Russian involvement in eastern Ukraine, SMM observers had repeatedly seen various types of advanced weapons produced by Russia, including electronic warfare (EW) equipment. In fact, the SMM has already observed a number of the newest examples of Russian EW systems, such as the Leer-3 RB-341V, 1L269 Krasukha-2 and RB-109A Bylina, and an anti-UAV system—the Repellent-1 (Osce.org, August 11). 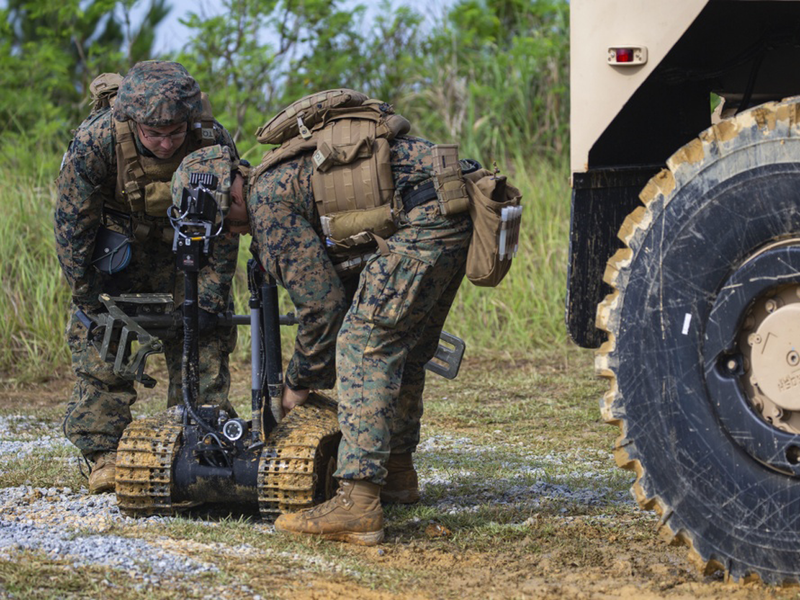 Philip Chertoff notes in this article that Lethal Autonomous Weapons Systems (LAWS) promise significant military advantages to developing states. He also finds that malicious non-state actors have the potential to leverage LAWS against state actors and that the international community has not paid adequate attention to this threat. By introducing export controls on LAWS, this risk of proliferation could be mitigated. Lethal Autonomous Weapons Systems (LAWS) promise significant military advantages to developing states. Many states have significant ethical and legal concerns about the potential for systems to destabilise conflicts and inflict collateral damage. Malicious non-state actors also have the potential to leverage LAWS for significant military advantage against state actors and acts of terror. The international community has not focused adequate attention on the potential for LAWS to proliferate to malicious non-state actors. The international community should implement export controls on LAWS, through the Wassenaar arrangement, to reduce the risk of transfer to malicious non-state actors. Tarah Wheeler’s recent Foreign Policy article “In Cyberwar, There Are No Rules” highlights the absence of norms governing aggressive actions in cyberspace as a potential cause of conflict within this domain. While the author is correct that the international community continues to struggle with the development of norms to regulate behavior in cyberspace, it doesn’t follow that the domain is completely anarchic. Over the past decade, publicly disclosed cyberoperations have appeared to surface a set of implicit rules that restrains state actors from employing cybercapabilities with the potential for widespread disruption. These rules are derived from the strategic realities that serve to temper how cyberoperations are deployed. Cyberoperations do not occur in a vacuum; interactions take place within the context of preexisting strategic relationships and form part of any actor’s larger campaign in pursuit of its strategic objectives. The employment of cyberoperations is thus subject to long-standing political, economic, and military considerations—one of which is the need to minimize unintended and costly conflict among the parties involved. The key to preventing cyber attacks, Red Seal CEO Ray Rothrock tells TechRepublic's Dan Patterson, is to invest in training and education. The following is an edited transcript of the interview. Dan Patterson: Ray, let's start with the big question, how do we solve the human component of cybersecurity challenges? Ray Rothrock: Well, thanks Dan, for having me on. The human component, well I don't know how we solve it other than through training and education. It should be as normal in a corporation or a business we should all be aware of a certain amount of cyber hygiene, if you will, some people hate that term, but it's actually quite accurate. It's just like cleaning your fingernails, and combing your hair, and brushing your teeth, you just got to be aware and that self awareness is hard to come by, some people don't have a lot of self awareness, when it comes to things. Their curiosity, they see this attachment in a very salacious email, and they'll click on it and all of a sudden you're done for. The Defense Information Systems Agency is looking to improve the cybersecurity posture of the Department of Defense by reducing attack vectors to the network. Adversaries are becoming more sophisticated, with threats becoming more complex and the number of cyberattacks increasing, Vice Adm. Nancy Norton, director of DISA, said Nov. 5 during DISA’s annual Forecast to Industry day in Linthicum, Maryland. 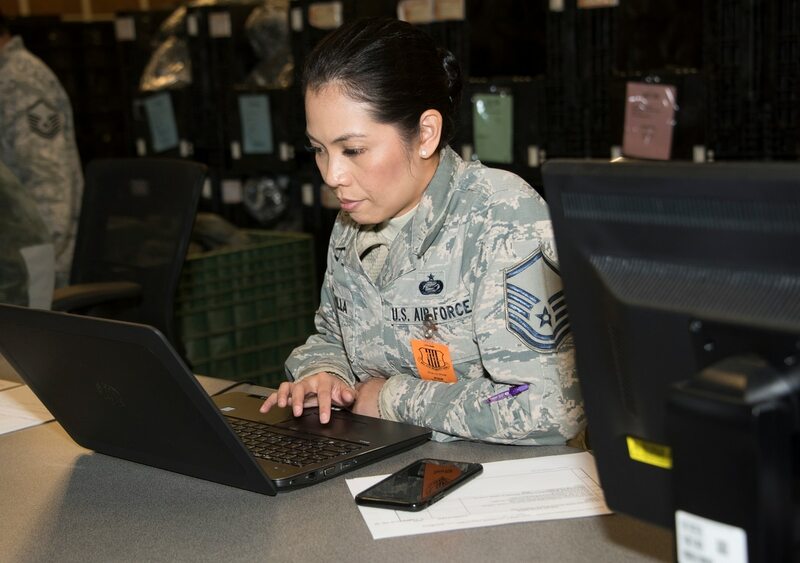 She said DISA executes roughly 1 billion defensive cyber operations events in a given month, automatically blocking most attempts while intervening in nearly 1,000 incidents and conducting over 2,000 countermeasures. Leaders at the Defense Information Systems Agency want to speed up how the Army acquires satellite bandwidth. The contracting process across the Department of Defense is often notoriously slow. 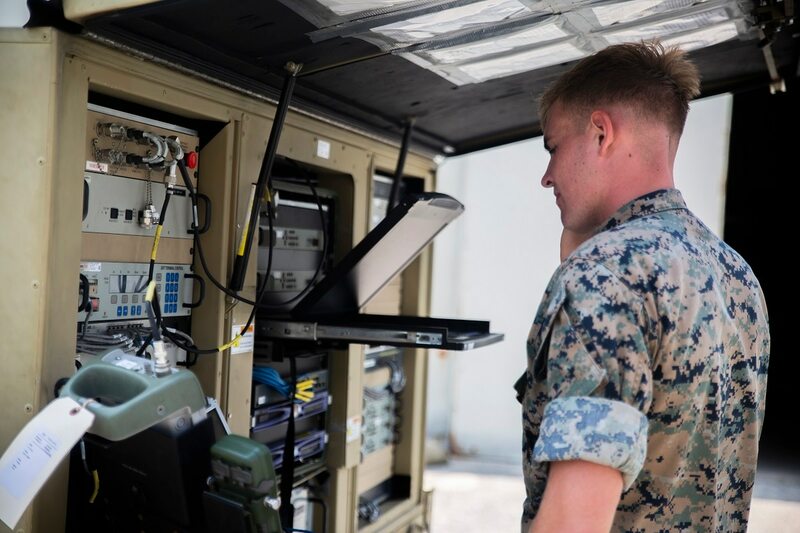 But lag times in getting satellite bandwidth can cause problems for soldiers on the front lines, who rely on the technology to communicate on the battlefield. 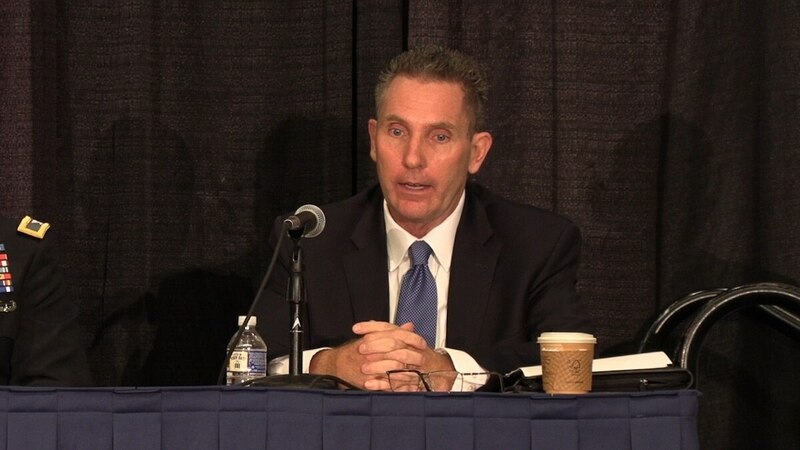 Speaking on a panel at the Association of the U.S. Army’s annual meeting, Mike Nichols, DISA’s chief of commercial satellite communications technical support, described an idea that would allow the agency to get bandwidth to the battlefield faster. Cybersecurity sometimes calls for an obvious solution. If most attacks on the network come in through the web browser, why not simply disconnect the browser from the network? Analysts at Gartner call this “remote browser isolation,” and they say it can reduce cyber risk across the enterprise. The Defense Information Systems Agency put out a call to industry in June to determine whether an enterprise cloud-based internet isolation capability would be feasible. Now the agency says it is moving ahead with the idea. The European Union's rigorous definition of genetic editing will limit the benefits that the Continent sees from the application of the technology to agriculture. In the United States, strict rules on embryonic research will cause it to fall behind other countries when it comes to applying the techniques to genetic medical disorders. China will continue to push against Western ethical norms on multiple international fronts, and the use of biotechnology will be no different. Emerging gene-editing technology is raising questions around the world about the ethics of altering the structure of life: DNA. From Europe to the United States to China, cultural and societal influences shape how each country sees this biotechnology and how it should be regulated. These differences hinder international consensus, as well as the enforcement of any restrictions, especially when the long-term implications of a rapidly advancing technology are unclear. Gene-editing techniques, especially CRISPR, have improved immensely in a relatively short time, and CRISPR's ease of use and relatively low cost make its application to agriculture and medicine inevitable. In the end, the debate about its use may be shaped as much by economics as by ethics.